It has been brought to my attention that in my recent rant about the insuitability of John Bolton for the post of U.N. Ambassador, I made an error. For this I am sorry. 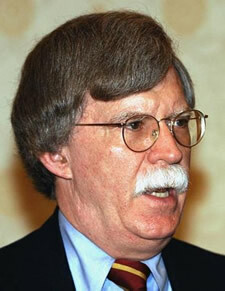 John Bolton is not, as previously stated, "the satanic love child of Wilfred Brimley." 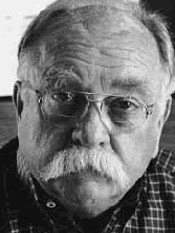 In fact, he is the satanic love child of Wilford Brimley. The Church of the Big Sky regrets this error and apologizes to anyone actually named Wilfred Brimley. You'd think with those "diabetes testing supplies" ads on tv every fifteen minutes, I would have gotten the name right. Ah, well.